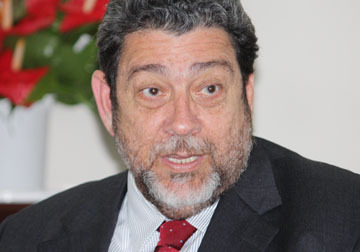 KINGSTOWN, St Vincent (CMC) — Prime Minister Ralph Gonsalves says that his government is prepared to work with whomever the electorates in Grenada, Antigua and Barbuda, and Barbados elect to run the affairs of their respective countries in upcoming elections. Grenadians are voting today, while the voters in Antigua and Barbuda will go to the polls on March 21. Prime Minister Freundel Stuart has not yet named a date for the election in Barbados, where the Parliament has already been dissolved. But he said the polls will be held within the 90 days as stipulated by the law. But Gonsalves told a news conference that he does not think that the outcome of the elections in Grenada and Antigua and Barbuda would have any untoward impact on issues within the Organisation of Eastern Caribbean States, a grouping of close economic and political union, of which Kingstown is also a member. “All the parties are pro-integration parties. But I must say this to you, I have found that the way that both [prime ministers] Keith Mitchell [of Grenada] and Gaston Browne [of Antigua and Barbuda] handled the problems which were upon them in their respective countries and in the integration movement, they have handled them with aplomb,” he said when asked how he thinks the outcome of those elections could affect regional issues. “I am not endorsing. I am just being honest about what I have seen over the last few years,” Gonsalves, however said. He said that his Unity Labour Party (ULP) has not endorsed any of the political parties vying for elections in the various jurisdictions. Last week, former deputy speaker of the National Assembly, Rochelle Forde, a former ULP senator, delivered a speech at a rally of Nazim Burke’s opposition National Democratic Congress, which some interpreted as an endorsement of the party. “They have asked me to convey all success to you at your youth rally and to let you know they are here with you in political spirit and solidarity as you get yourself ready for victory on the 13th of March 2018”. Gonsalves, who came to office in March 2001, noted that he has been prime minister when both major political parties in Antigua and Barbuda, Grenada and Barbados have headed their respective governments. 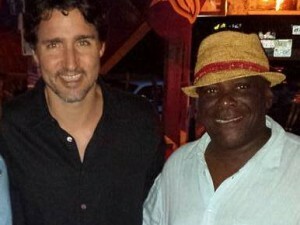 “I’ve had excellent relations with both parties,” he said of Antigua and Barbuda, adding, “the same thing in Grenada. “I work with whoever the people of the country elect and I say I have very good personal relations with them. Same thing in Barbados,” he said. “I think in the OECS, and if we focus on that, and those are the two countries where we have had closest relations, I have found that the work which we have done with Keith Mitchell and his NNP (New National Party) — that we have done very good work together. “Similarly, we have done very good work with Gaston Browne and his Labour Party. The leader of the UPP (United Progressive Party) in Antigua and Barbuda, Harold Lovell, though he did his degree in geology, he used to come and audit many courses in social sciences when I used to be a lecturer at the university so I know him as a student and I used to do lectures and he attended them.